There's more than a few reasons tomatoes are the most popular vegetable (technically a fruit) grown in American gardens. Homegrown tomatoes are noticeably more delicious, they're also high in nutrients that promote heart health, strong bones, and a healthy immune system. Studies indicate tomatoes reduce risk of colon and prostate cancers and offer natural protection against UV rays of the sun. It's amazing that some people once thought tomatoes were poisonous. Indeed, tomatoes are in the solanaceae family, a cousin to the potentially deadly belladonna, or nightshade plant. And it is true that stems and leaves of tomatoes are noxious, especially in large amounts. After tasting a home grown tomato you may never want ever want to buy those tasteless red orbs sold in the grocery store ever again. One only needs a square foot of sunshine to latch onto the dream of growing one's own tomato plant. 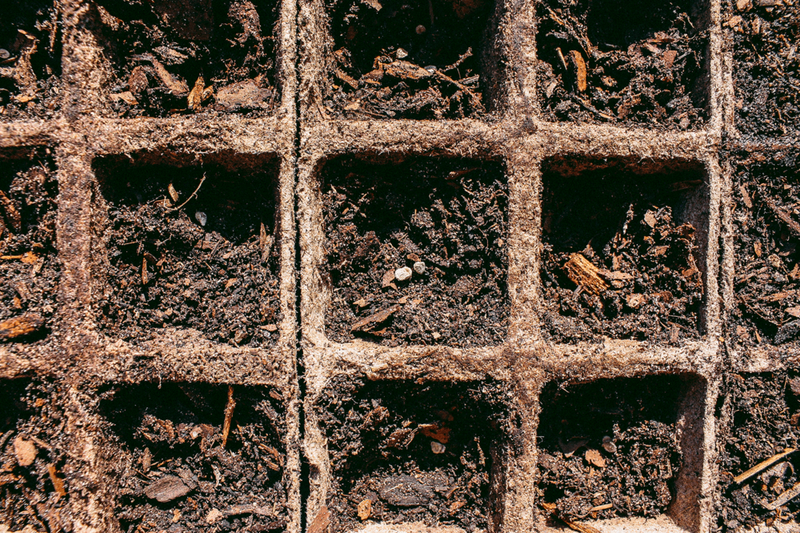 Our favorite horticulturist and experience garden, Lily Anderson-Messec, is back with her pro planting tips on this favored warm weather crop. She'll also take us through some of her preferred varieties, and share a lil expert insight on each one. Stay tuned for more of her tips as we begin to enjoy this spring planting season. Once again, it’s time to start putting out your tomato plants. If you’re hoping for a crop with the old-fashioned full-bodied tomato flavor like the ones your grandparents grew then your best bet would be to plant heirloom tomatoes. So what are heirloom tomatoes? And which ones grow best here in Tallahassee? In general tomatoes fall into two categories; hybrid and open-pollinated. Hybrids are the first generation offspring of two distinct parents. A specific “mother” flower is pollinated by specific “father” pollen. 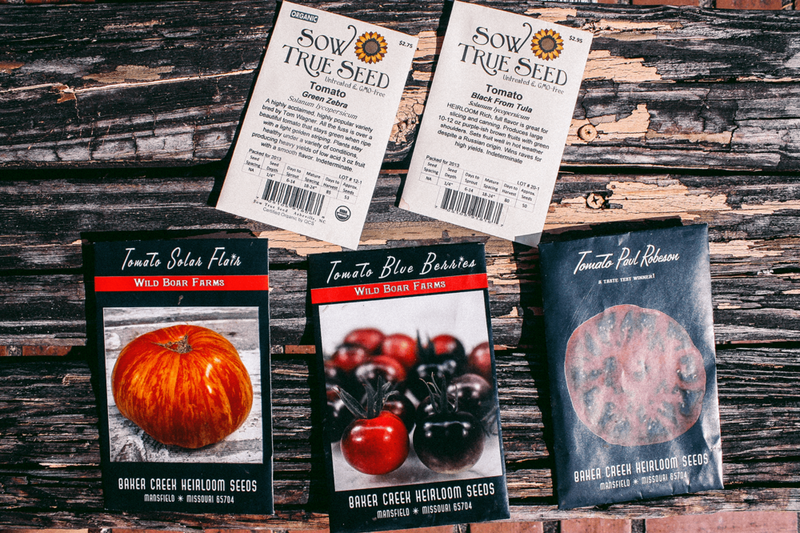 The resulting seed produces a tomato plant and fruit that is different than either parent plant. This involves a lot of work and partly accounts for the high cost of hybrid seed. Hybrid tomatoes have been bred for uniformity, disease resistance and the ability to withstand mechanical harvesting, packing and shipping. Unfortunately this usually comes at the cost of flavor. The biggest disadvantage of hybrids in my opinion is that they don’t come true from seed. This means you have to buy new seed every year. If you try to plant seed saved from your hybrid fruit, you will end up with an entirely different and unpredictable plant. Open-pollinated tomatoes are varieties that have been genetically stabilized by someone patiently selecting desirable fruit and growing out generations of tomatoes. This usually takes several years, but once a variety is stabilized it will come true from seed. That means the plants and their fruit will be the same from year to year. Heirlooms are open-pollinated varieties that have been passed down through several generations of a family or community because of their valued characteristics. These varieties are dynamic, that is they mutate and adapt to your environment as you save seed from year to year. Therefore the ‘Cherokee Purple’ your neighbor has been growing from year to year is likely to be better adapted to Tallahassee weather than the ‘Cherokee Purple’ seeds you order from a seed farm in Iowa. Ask your nursery if it gets its plants from local growers who save seed. Heirlooms come in a myriad of colors, sizes and flavors. So what varieties of heirlooms should you plant? I like to plant a few tried and true varieties that I have saved and grow every year, along with a few new ones to experiment with. I am looking for tomatoes that not only taste great, but are productive and reliable enough to earn their space in my garden. ‘Jaune Flamme’ is an old French heirloom bearing abundant, early crops of 4oz fruits with bright orange skin. Its excellent flavor is a perfect blend of sweet and tart! They are delicious fresh in salads or dried. This “yellow flame” has been the first to ripen in my garden for the last two years. ‘Speckled Roman’ has gorgeous long red fruits with jagged orange and yellow stripes. These paste tomatoes produce heavy yields of 4-5oz fruit with meaty flesh and few seeds. They have a great “tomato” taste and are great for processing and fresh eating. They also store well once they are picked. ‘Matt’s Wild Cherry’ these small red cherry tomatoes are packed with an intense, sweet and full flavor. Originally from Mexico, these large plants produce copious quantities all season. Great for fresh snacking in the garden and in salads or pasta. ‘Paul Robeson’ is a beautiful, “black” beefsteak tomato that is really a dusty, dark red. This Russian heirloom has a luscious, earthy flavor with a good sweet/acid balance. I’ve been very impressed with its productivity.